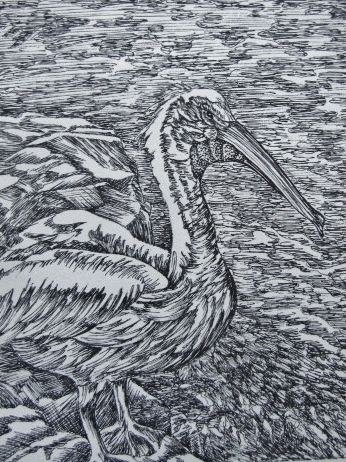 This is a three drawing series where we look at a stork within its natural setting. We first zoom in on the eye and beak, then step back taking in more, and finally see the entire setting. Serial imagery provides valuable insight into the connections within our art, it helps tell a story, and allows the viewer to understand it on a personal level . 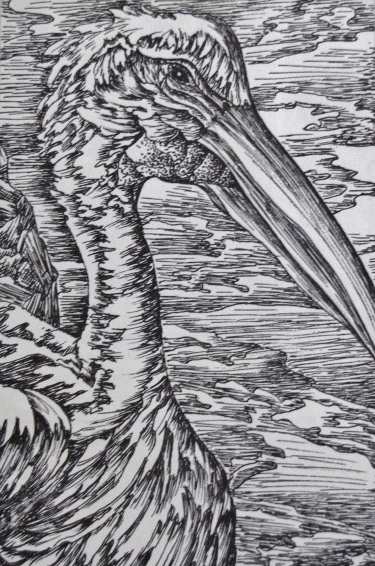 You are currently reading Bird’s Eye View at Dr. Mary McNaughton and Drawing.